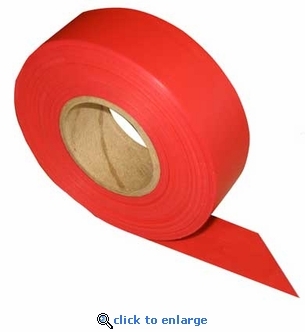 This red triage flagging tape comes in a 300' roll and is used by CERT teams and first responders to mark or flag victims or identify specific triage areas. This non-adhesive red vinyl flagging tape can also be used for marking hazardous or damaged areas, as well as for flagging boundaries and survey markers. Red Triage color: Seriously injured, needs immediate medical attention to save life. Tape tears easily - No tools required.